The empowerment of women occurs when women achieve increased participation and control in decision-making that leads to their better access to resources and, therefore, improved socio-economic status. The experts on gender issues hold that women's advancement involves the process of empowerment and define it as a process by which women achieve increased control over public decision-making. We should not forget that history is a witness to women who have in the past demonstrated unique capabilities. God has gifted women with compassion, tender-heartedness, caring nature and a loving concern for others. These are signs that imply that women can be leaders as well. Though some women have shown their mettle, yet a large number of them have to sharpen their leadership qualities in various ways. In order to help women be in the limelight, they have to be empowered. Therefore, empowerment of women is a pre-requisite to transform a developing country into a developed one. They possess the major components. 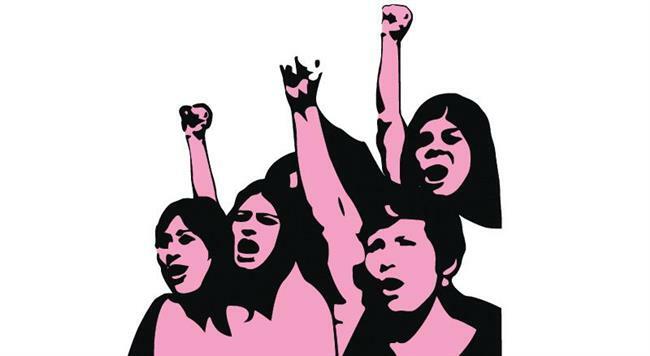 Women’s sense of self-worth, their right to have power to control their own lives, both within and outside homes, and their ability to influence the direction of social change to create a just socio-economic order universally are embedded in their psyche. Educated women are engines of progress and their presence in the family transforms the world. The need of the hour is not half-hearted pleas for favours. Rather, women should show the rest of the world that they are not only able to be on their own but also capable of fostering progress and development. The best gift parents today can give to their daughters is education. Today women are emerging as leaders in numerous fields. Be it journalism, aeronautics, medicine, space, engineering and so on. In India, the empowerment process has already begun. We are now witnessing a large number of women in the job market. The best example of empowerment in India can be seen through the #MeToo and the Sabarimala movement. Women are openly raising their voices against sexual harassment, assaults and insults. They must do more. Some factors women must acquire to become truly empowered lie in the awareness about risks prevailing at home, in the workplace, while travelling and living alone. Apart from the legal, economic and health awareness, they should also have knowledge about support groups. It is quintessential for them to approach set goals and achieve them with courage.